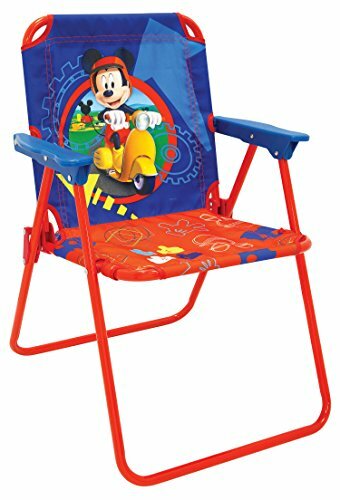 Mickey Clubhouse Capers Patio Chair has colorful character graphics and is great for indoors or outdoors. Sturdy metal tubular construction. Folds for easy storage. Each chair has a safety locking mechanism. No assembly required.